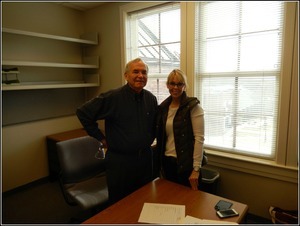 Brad Agnew with Donna Moore. 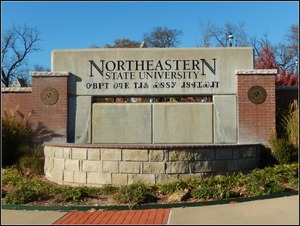 Dr. Agnew was a professor at Northeastern State University. 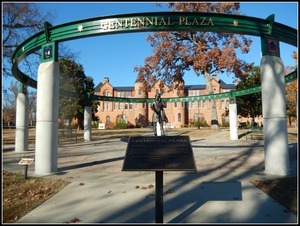 Donna Moore interviewed Dr. Agnew. 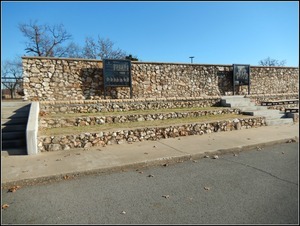 Photograph used for a story in the Oklahoma Times newspaper. 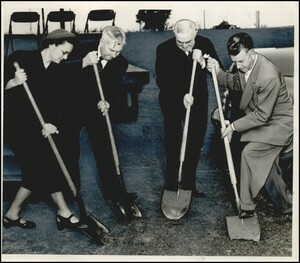 Caption: "Four spades go deep into the earth on the Northwestern State college campus climaxing ceremonies beginning the construction of a new health education building at the college." 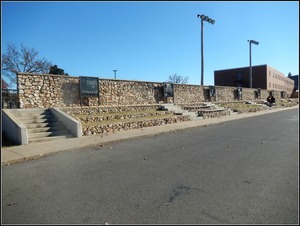 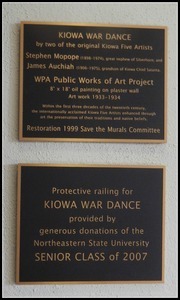 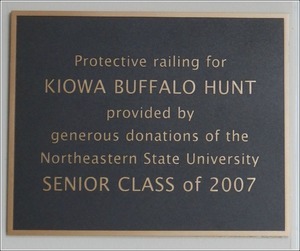 Plaques about the Kiowa War Dance Mural at Northeastern State University. 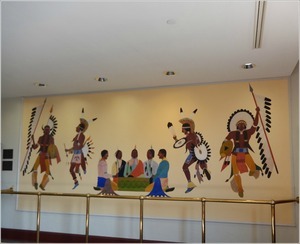 Photograph of the Kiowa War Dance at Northeastern State University. 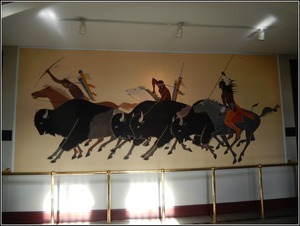 The murals were created by Stephen Mopope and James Auchiah (two of the original Kiowa Five Artists) as part of the WPA Public Works of Art Project.